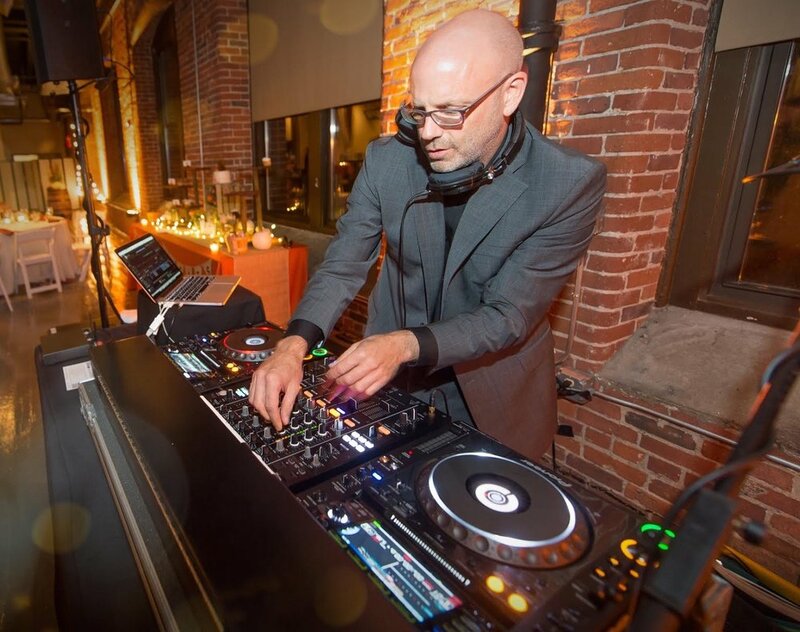 Jeff Erwin, AKA Mix Chemist, is one of the most skilled and accomplished event DJs in the Seacoast area and beyond. A graduate of Boston's DJ Mix Academy, Jeff has made a name for himself among many of the area's high-end venues for his mastery at facilitating events that flow smoothly from one element to the next, and for his uncanny ability at packing dance floors and keeping the party rolling all night long, even when the age spread is significant. There isn't a crowd he can't read or a dance floor he can't rock! He is attentive to his clients' needs and desires from the first meeting to the last dance. He is articulate, professional, non-cheesy and takes his role as DJ and emcee seriously while maintaining a relaxed demeanor and fun sense of humor. When Jeff is not spinning tunes, he just might be out seeing the world on his adventure motorcycle or drumming with kids as a visiting artist in schools throughout New England. Think STOMP meets Blue Man Group and then click HERE if your are interested in learning more about the incredible work Jeff does with our youth.